We are not backing down. We have public appearances scheduled for New Living Expo April 27-29, Contact in the Desert June 1-4, our Colorado Ascension Portal all-weekend event July 27-29, Corey Goode’s Dimensions of Disclosure and others. As you may know, I have direct access to insiders who share very unique and compelling insights into the revolution now transpiring in our world. As a result, we know that the Deep State has been hiding an astonishing wealth of ancient extraterrestrial ruins, crashed technologies, recovered bodies and reverse-engineered interstellar craft. They also have ongoing, direct relationships with multiple intelligent extraterrestrial civilizations. The scope and power of what lies hidden in these various underground vaults could literally transform us into the Star Trek age overnight. The idea that this much could be kept hidden from us is staggering. There is still widespread debate over whether any UFOs actually even exist. I recently met two different people in the Baby Boomer age range at a birthday party, both of whom had impressive UFO sightings. The ridicule factor was so high at the time they saw these obvious, intelligently-piloted craft that they were both actually saddened by it. Younger people are now the beneficiaries of four generations of gradual disclosure, and no longer see this as a subject of laughter and ridicule. For the uninitiated, it would seem hard to believe how any government or organization would want to withhold such impressive, world-changing breakthroughs. The main force preventing us from gaining access to this technology is an elite, hyper-wealthy Luciferian cult, sadly enough. Many of their members engage in what most would call evil practices, such as pedophilia, sacrifice, human trafficking and the desire to greatly reduce earth’s population. The steps I have just taken to transform my life were huge, but should provide a lasting solution — so we never need to suffer this much “down-time” again. I did not want to publicly telegraph that we were making a major move from Los Angeles to Colorado during this last seven weeks, for security reasons that will become obvious in a minute. The process began last September, and we were able to successfully buy a home. This was by far the most difficult worldly ordeal I have ever been through. It was at least a full-time job from October 2017 until just the last two weeks or so. It often looked as if it was not going to work. The freedom is just starting to “kick in” now that we have solved all the immediate personal crises from moving to a snowy, alpine climate. Traveling an average of twice a month for work, over the last ten years, had caused me to feel severe burnout. An incredible amount of productive time has been freed up by moving to the same city I work in. A taping now takes up two days of my time instead of two weeks. 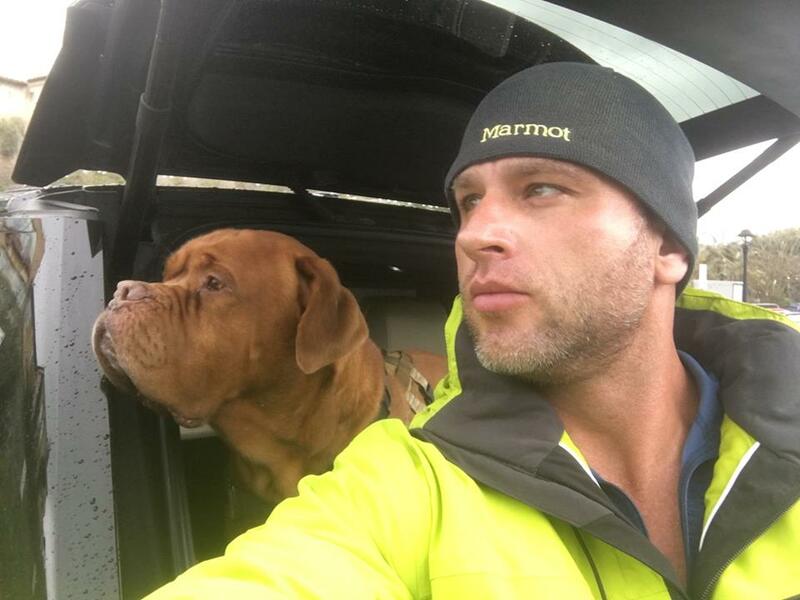 Pete Peterson and Emery Smith both endured new, nearly-lethal events in the time before, during and after our move, making this transition even more stressful. Both of these insiders have stepped forward in the last year with many new insights about the Secret Space Program — and the Deep State appears to have punished them for it. Although many Alliance insider groups want to see disclosure, there are still powerful elements fighting to the death to keep it all a secret. The tragic events that recently happened to Emery and Pete do not appear to be random accidents. These attacks are so blatantly obvious that the Deep State clearly appears to be in a true state of desperation to have even attempted them. Thankfully, these attacks did not kill either of them. The back-story is quite remarkable. In many ways the truth is far more fascinating than any sci-fi movie or television series I have ever seen. It is difficult to imagine that any elite group on earth could be keeping this many secrets from us. It is also hard to understand why they would hide it. Nonetheless, the pieces all fit together beautifully. Genuine insiders from this world have invariably experienced many of the same things firsthand. Multiple insiders from very highly classified projects have independently shared testimonies that interlink in ways that defy all probabilities of fraud. 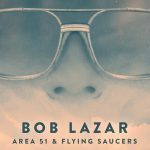 These insiders appeared thanks to the trust, credibility and connections I built as a UFO researcher working online since 1996. This subject has now earned far more widespread acceptance than it had in those dawning days of the internet. When I first compared insider notes with Corey Goode in November 2014, we found many dozens of direct correlations — far beyond any possibility of coincidence. Corey’s information fit in perfectly with what Emery Smith had been telling me for the preceding six years — along with the data from many of the others. We sadly lost William Tompkins last year — another insider who had been involved in this world since WWII, and whose data fit perfectly with everyone else’s. Tompkins was directly tasked with interviewing American spies embedded in Germany’s secret space program, and relaying that intel to top officials. He therefore provided critical historical context to the origin and development of what we are calling the secret space program. 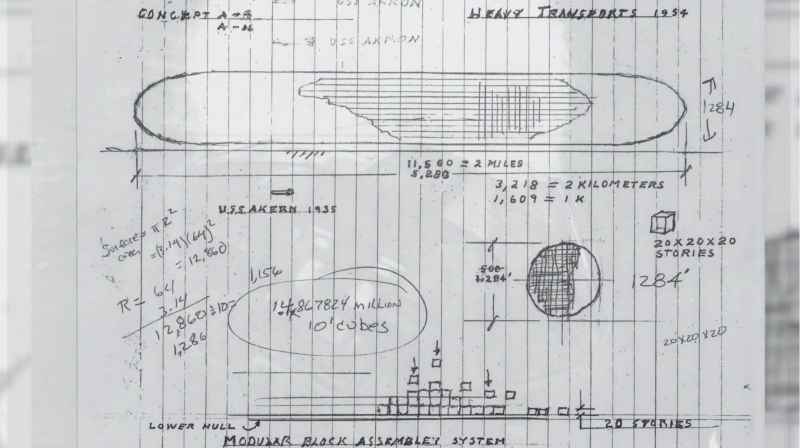 In fact, Tompkins’ design ideas for submarine-type spacecraft, seen in this 1954 diagram, became the prototypes for Solar Warden, the classified program Corey Goode served in. Ships like these were among the first that were built on the inside track, in the hopes of policing the extraterrestrial traffic coming and going through our solar system. What extraterrestrial traffic, you might ask? As it turns out, our solar system is a very popular place, as it apparently sits right next to a rare portal that allows travel to other galaxies. The German Nazis ended up cutting a deal with the most evil extraterrestrials around — a reptilian-human race called the Draco or the Saurians on the inside. Tompkins did his best to relay this information to top US government and military officials, who completely refused to believe it for some time. All of this was kept strictly hidden from us, just like the Manhattan Project that led to the development of the atomic bomb. The cubes that you see allowed these ships to be built in modular pieces here on earth before they were transported and assembled in space. Tompkins intended to release everything he knew over the course of three books. He only managed to finish the first one and part of the second. I was fortunate enough to have had multiple conversations with Bill, and to develop a friendship with him before his tragic loss last August. Bill helped me visualize a happy, healthy and loving relationship, which directly paved the way for my connection and marriage with Elizabeth. His loss was part of what compelled me to start the process of moving to Colorado a few weeks later — so our lives would ultimately be healthier and happier. Bill’s public debut was at age 94, and he only lasted less than two years on the scene. This was more than enough time to change the entire scope of UFO scholarship. WHY DON’T YOU JUST WRITE SHORT ARTICLES? The truth is so out-of-the-box that short articles will only make sense to people who have been steadily following the narrative. That in turn means that anyone else who is new to this will be completely lost, and be apt to think the whole thing is an internet fever dream. 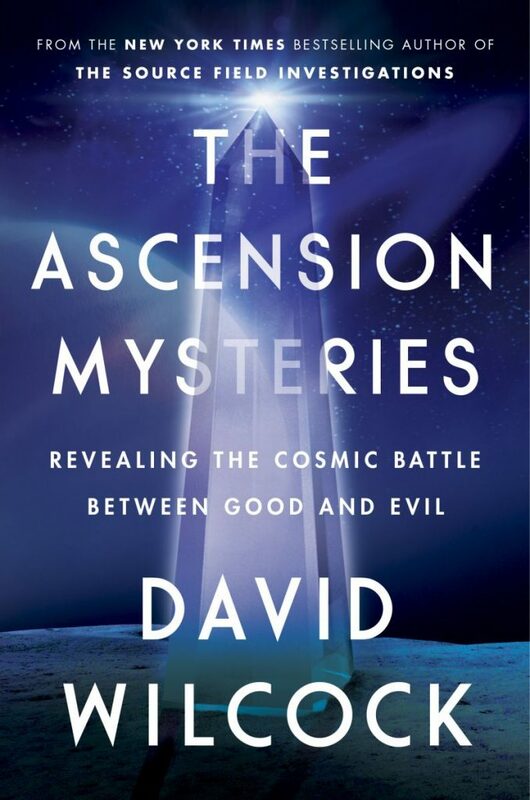 My most recent book, The Ascension Mysteries, represents my first effort to create a large, unified summary and analysis of what these various insiders told me. You can begin reading at Chapter Fourteen, “Disclosure,” on page 241, and get the equivalent of a full-length book’s worth of information on the secret space program in a condensed form. There are 251 references in this section of the book alone, which is double the amount required for a doctoral dissertation in most subjects. Nonetheless, it is not at all dry or boring, but reads like a fast-paced sci-fi drama. This second half of the book is consistent with the style and research quality of the previous two, The Source Field Investigations and The Synchronicity Key. 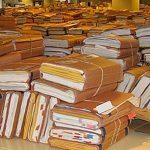 The 251 references tie in a wide variety of different research topics that help provide a factual basis for the remarkable claims you will find. This includes multiple NASA images of what clearly appear to be intelligent, geometric architectural ruins on the moon, Mars and elsewhere. This all seems highly implausible to the conventional mind, but it provides intriguing evidence to support the idea that our solar system has been widely inhabited and colonized. I managed to pull multiple, direct quotes from Tompkins right before the deadline, adding even more scope and depth to the disclosure. 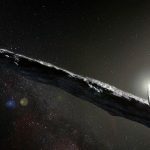 This included stunning new detail about extraterrestrial architecture we found both on the surface and within Earth’s moon. One of the surprises Bill shared with me was that NASA covertly photographed massive buildings that were completely levitating above the lunar surface. Imagine a rectangular building that is two miles long, just hovering there above the surface — apparently with no threat of collapse whatsoever. There were many different styles and types of architecture on the moon, depending upon where you looked. This suggested a variety of cultures had settled there. This data fit beautifully with Corey Goode’s claim that many different ET races have settled on our moon and are directly involved with our classified programs. It almost makes you crazy to hear things like this, as if it is all true, then the scope of how much we are being lied to is beyond imagination. Even skeptics would want to enter into a world where this technology was accessible — they are just too cynical to believe it is possible in their lifetimes. Emery Smith has been a friend and trusted insider since 2009 — and one of my longest-term and most interesting witnesses. I never imagined he would come forward. Up until his life was very aggressively threatened in the summer of 2017, he had no intention of doing so. Emery was attacked in the same wave that corresponded with Tompkins’ loss. It is very sad that we were never able to get them together for an interview. Since Emery hadn’t yet come forward at the time I wrote The Ascension Mysteries, the book only contains a small sampling of the knowledge he had provided me with. I didn’t want to go into too much detail in case it would identify who he was and lead to undesirable “visits” from the Deep State. I was admittedly stunned when Emery first told me he had autopsied some three thousand different extraterrestrial species while working in an underground military base in New Mexico. The details were staggeringly complex — and correlated precisely with what others had told me, in many cases, while adding significantly more information. Emery’s data ties in very nicely with other insiders I discussed in the book — including Daniel, Henry Deacon, Bruce, Jacob, Bob Dean, Clifford Stone, Corey Goode, William Tompkins and Pete Peterson. These are some of the people I had private conversations with, often for many hours — and would find dozens and dozens of very specific data points in common. Emery also had worked as the vice-president of CSETI, Dr. Steven Greer’s disclosure organization, for many years. I first met him in a joint meeting with Greer in 2009, at Inn of the Seventh Ray in Topanga, California. As you will know if you are a regular reader of this site, I attended Greer’s original Disclosure Project event at DC in 2001, and met most of the 39 insiders who came forward that day. Emery appears in the movie Sirius, though he does not share any insider information. Emery is also the surgeon who autopsied the mysterious Atacama humanoid in the movie. Emery reveals that the US military has been sitting on a story of far greater scope and intrigue than we could have even imagined. In order for a military base to have gained possession of this many different species of ET corpses, they would have to be in regular, widespread contact with a variety of civilizations. Almost all of the specimens he autopsied in the underground facility at Kirtland Air Force Base in New Mexico were humanlike in some way. They usually had the classic “five-star” pattern, as they called it, meaning a head, two arms and two legs. Once you get past that basic guideline, what you then see is a wide variety of different types of intelligent, human-like life. In most cases, you can imagine a being similar to something here on earth — in any of the different kingdoms — being elevated to a human-like level. This means you will have all different sorts of aquatic humanoids, mammalian humanoids, avians, insectoids and reptilians. Some species have undeniable examples of vegetable cells in their physiology, and may even photosynthesize light. You also occasionally get strange types of “light beings” that appear to have died in a proto-plasmic state, somewhere between matter and energy. In the earlier stages of his insider career, Emery was given hardly any information or access, other than that he was obviously working on very strange cadavers. 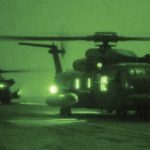 The technology on the base was vastly ahead of what we had in the open world in the 1990s — and much of it is still like science fiction today. This included interactive holographic displays, consciousness-assisted technology, “printed” meals made to order, and smart-glass pads similar to those discussed by Corey Goode. 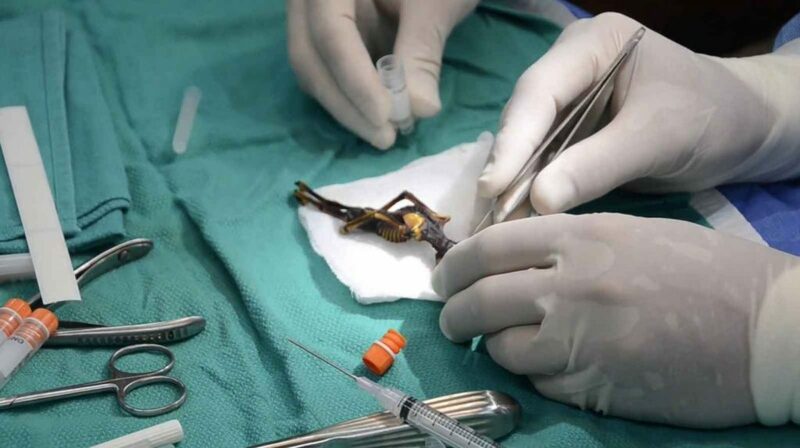 As he progressed in the programs, he began having direct interactions with a variety of different ET races who would help him with the autopsies. He occasionally had to stay overnight at the base, in rooms that were configured to accommodate multiple different types of ET species. Not one ET group he interacted with appeared to be negative in any way. In fact, there was a very consistent sense of extreme positivity from these people. They explained that they were here because they wanted to help us understand our galactic neighborhood, even if it was all being kept secret at this time. These races invariably wanted to see disclosure take place, and to tear down the walls of secrecy that keep us apart. These episodes have been airing since January, and we just finished our third taping last week — despite the death threats. Emery was given MD-level training in the military, and it shows in the speed and technical precision he uses as he describes his experiences. Our second taping in January featured at least eight episodes where Corey Goode and Emery Smith were comparing notes on their remarkable experiences. It was a true blessing to capture their initial conversations and data-sharing on camera. The crossovers are numerous and fascinating. The odd, specific details are often what stand out as the most surprising — defying any reasonable possibility of chance. If you want to check it out, please click on gaia.com/cosmic to make sure we get compensated for your subscription. The first month is only 99 cents with no cancellation fees. We keep cranking out new episodes every week, except for the very occasional production break — and your membership conveys full access to everything in the library. Emery shared far more detail in these tapings, after having his life so aggressively threatened, than he ever had revealed to me before. As is the case in the best interviews, I was learning all sorts of mind-blowing new things in real time as I continued asking questions. One of the weirder discoveries was that many of the UFOs we have found are an interesting fusion between technology and biology. These ships are often “grown” out in space, using a combination of sound frequencies and advanced technology. A particular being may often use its own genetic material to help produce the craft it then travels in. The craft then interfaces directly with its occupant, creating a thought-assisted transportation device. Scrapings from the craft would show DNA test results that matched the signatures in the cadaver itself. Many of these craft have their own type of personality — very eager to please, and ready to do whatever you are authorized to ask for. Emery also reported that many of these craft would refuse to take us outside our atmosphere or solar system — understanding that we were not yet ready for this as a society. The Secret Space Program definitely found workarounds for this, according to Tompkins, Peterson, Deacon, Jacob, Dean, Goode and others. As Pete just told me recently, “No one will believe this, but there are Americans all over the galaxy.” Goode has reported that other nations are involved as well. Many people are electrified by what Emery is saying. It is certainly helpful to see how these pieces fit, as I have been able to do since we started talking about a decade ago. The evidence keeps piling up as more and more insiders like Goode, Tompkins, Peterson and Emery step up to share what they know. One researcher in the UFO field who has really “run with the ball” on this whole subject is Dr. Michael Salla of Exopolitics Institute. Salla had multiple interviews with Tompkins before his death and did amazing work in validating his accounts with documents and other proof. 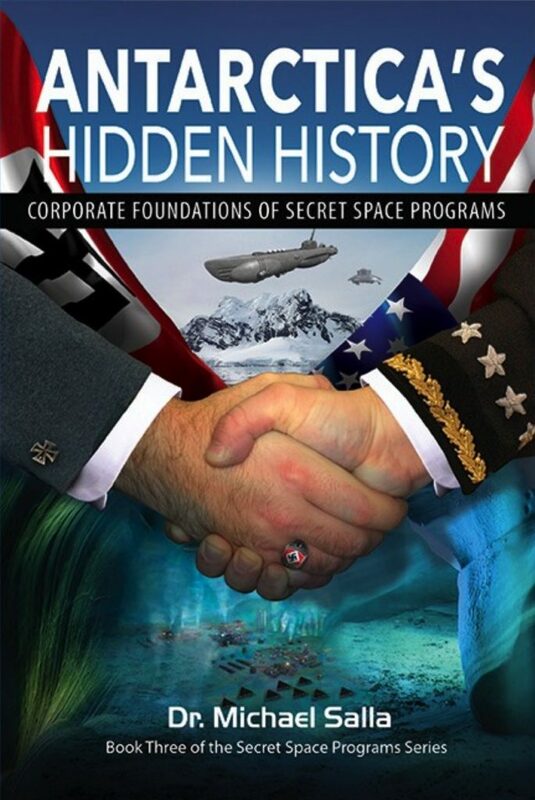 Somehow he managed to write yet another book recently, which is getting great reviews — Antarctica’s Hidden History: Corporate Foundations of Secret Space Programs. Dr. Salla has done the hard work of including 584 references in the book to support this discussion with academic rigor. This shows that legitimate researchers are taking this very seriously, and there is plenty of supporting data if you go looking for it. Michael is very excited about Emery having come forward, as it greatly supports the overall body of Secret Space Program insider data we are gathering. I look forward to reading my copy, and things have been far too busy for me to have the time to do so — as of yet. I found the last Chapter 16 summary a masterpiece of synthesis of unwritten history of the last 100 years, and the incredible existence of multiple secret space programs. Skeptics will have difficulty attacking the details, because the book not only has 584 specific references to each claim but has a masterful index permitting one to verify consistency. There is an ongoing roster of impersonators who want to pretend to be real insiders as well. If I don’t discuss them, it’s because they didn’t pass our vetting process. If you think I haven’t heard of someone, believe me, I have. Repeatedly. 99.9 percent of “new insiders” will turn out to be fraudulent. It’s a sad fact at this point. We can easily “vet out” the real ones and they are extremely rare. I will gladly go after billionaires, politicians, CEOs, pedophiles and satanists, as well as producers and directors of Deep State propaganda masquerading as entertainment. However, I will almost never turn against fellow researchers or even wannabe insiders by name. That doesn’t change the fact that we are routinely and sardonically attacked online by many different individuals, including fellow researchers. I get that it may seem fun and tempting to want to make up fake stories, but the real insiders are not enjoying the process of coming forward at all. Emery has had very real and ongoing threats levied against him ever since he spent time living with Elizabeth and me in 2017. Skeptical people often view subjects like this as if they are watching a movie or a video game, where there are no real stakes and everything is a virtual reality. Alliance insiders have expressed shock and disappointment at the degree to which so much of the UFO community has turned their backs on all of us, sticking to their own traditional narratives. Dr. Michael Salla is a notable exception, and he has made valuable research contributions to this developing subject. Almost all other traditional UFO scholars have ignored it. 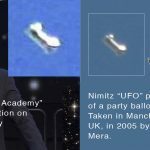 This is one of the reasons why disclosure will proceed through public information releases, not through any private individuals in the UFO community. We now have an impressive body of data that gives us far more detail than we could ever hope to obtain from analyzing pyramids, Roswell, classic sightings or insiders from 20 years ago. We may be on the verge of getting a treasure-trove of new information in the next “data dump” as well. I try not to have feelings of anger or judgment when I see people accusing him of making all of this up. If you get to know him personally, it will soon become very obvious that he is the real thing. On December 29th, we revealed how a black SUV pulled up and abducted Emery’s dog Raven. 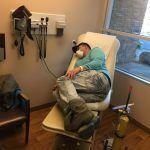 Immediately thereafter he became very sick with flu-like symptoms and ended up in the emergency room. I speculated that Emery may have been hit with an ice dart weapon that introduced a fast-acting virus into his system. This is one of many ugly technologies available to insider operatives in classified programs. Miraculously, Raven was found alive by a local animal lover, and Emery got her back unharmed. Now imagine that this attack was ordered by a malicious group attempting to protect Emery’s secrets, and brutalize him into silence. They were obviously furious that the dog survived. They were compelled to strike him and his loved ones again. The next attack had far more violent and fateful consequences for Emery and his beloved canine companions. Emery went through a terrific, wide-ranging overview of his many experiences working in underground bases on alleged ET autopsies. He did a great job, and you can still see that event along with all my other talks with the premium Conscious Life Expo Trilogy Pass. Please consider ordering the Trilogy Pass for $144. In my Sunday joint lecture with Corey Goode, I went into significant new detail regarding the connections between the Law of One series and Christianity. This included compelling data I have never presented before, arguing that the Great Pyramid had actually been built as a monument to the coming Christ. 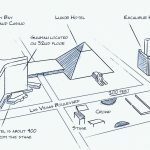 A well-researched timeline written into the measurements of the Great Pyramid’s passages flags the birth and ascension of Christ as very pivotal moments in our entire history. It is a known fact that Carla Rueckert, the channel for the Law of One series, was a devout Christian. What may not be so obvious is that there is a much greater cosmic background to the story of Christ than most people have ever realized. 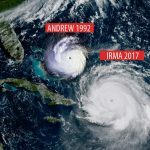 This includes measurable cycles of time in historical events that were directly referenced in the Bible, as I explain in The Synchronicity Key. Furthermore, if you actually read and study the Law of One, the core principles of love, forgiveness and service to others are all very familiar. A majority of the proceeds from the Conscious Life event go towards helping us with expenses as we recover from our big move, and we do appreciate your support. Now that I don’t have to travel for work, I am taking on more conferences this year as I finally have enough time to do them. 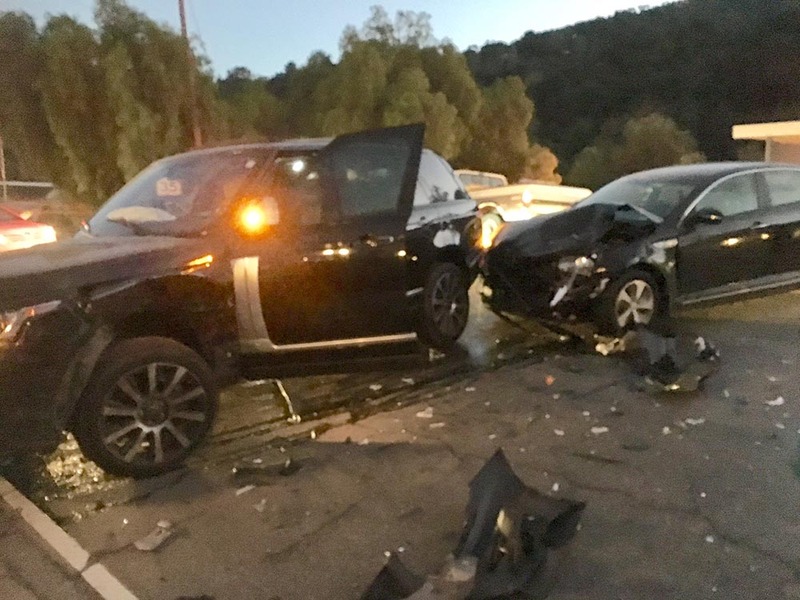 Let’s not forget that Emery was in a suspicious head-on collision that totaled his last worldly possession — his Range Rover — just a few months before his dog Raven was abducted and he ended up in the ER. Before the head-on collision, he already had everything he owned stolen out of his house in New Mexico. 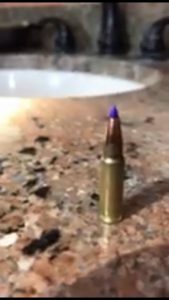 An armor-piercing bullet was left on the countertop as an obvious death threat. 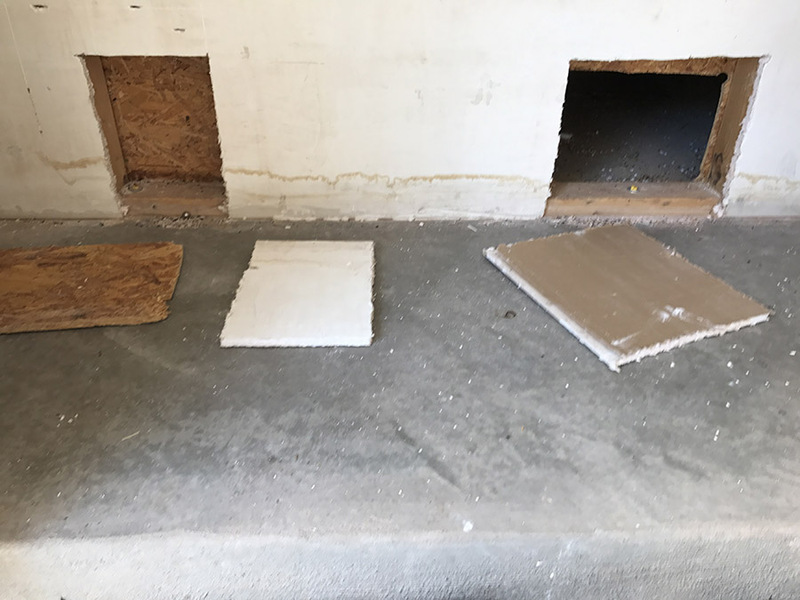 Holes were cut in the wall to remove all hidden traces of incredibly valuable computer files and artifacts from his time in the programs. Whoever did this knew right where he had stashed them — in an area normal burglars would never think to look. 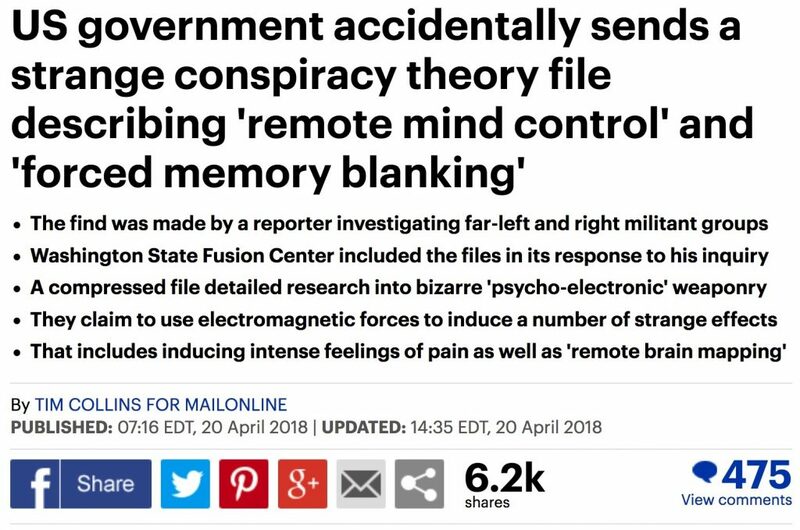 Just a few days ago at the time of this writing, new information leaked into the media about classified mind-control technology. If everything contained within these leaked documents is true, it is certainly possible for these attacks on Emery to have been orchestrated. Taking Emery out would be considered a high-level hit. The planners would want to use a method where there is “plausible deniability” and it cannot be traced back to them. 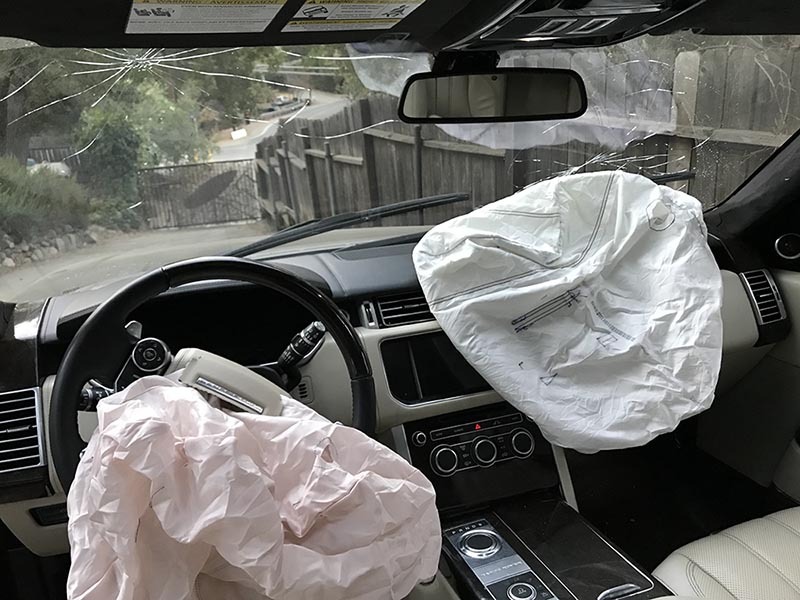 The drivers in these cases may not have had any idea about what was going on, or that any technology was being used against them. More than likely, this was another clever Alliance operation to reveal what is actually being done by the Deep State. 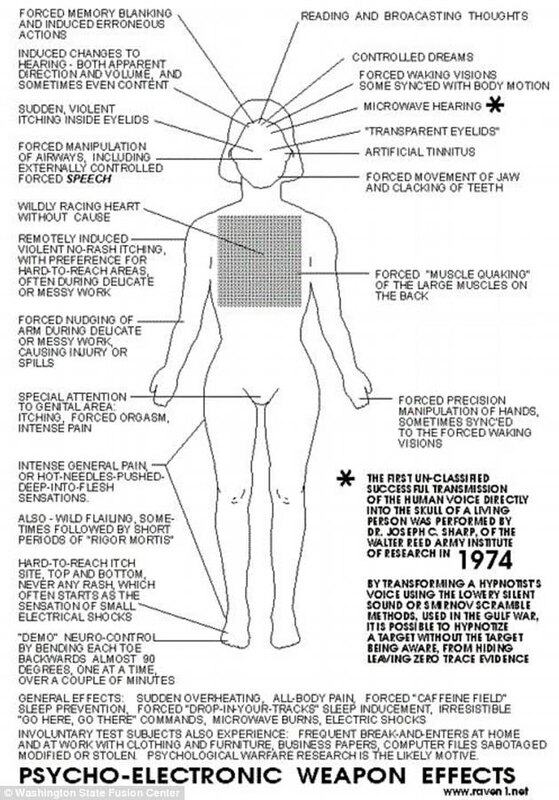 “First un-classified successful transmission of the human voice into the skull of a living person was performed by Dr. Joseph C. Sharp of the Walter Reed Army Institute of Research in 1974. This is a written description of the early development stages of what Corey Goode has disclosed as the “Voice of God” technology. Corey himself reported using it on people when he was in the programs. You speak into a microphone and the technology beams your words into their heads. Pete Peterson and other insiders independently confirmed that such technology does indeed exist. Apparently, some people who believe they are channeling extraterrestrials are actually hearing messages conveyed through this method. 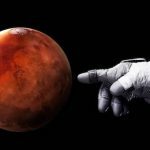 The precise timing of William Tompkins’ lethal fall, hours before the “Blood Moon” total solar eclipse last year, could well be another example of this technology in use. In Bill’s case, it may have been that his advanced age made him susceptible to these sorts of influences. Additional coverage of this surprising document leak can be found at https://boingboing.net/2018/04/19/government-accidentally-sends.html. I do understand that a technology like this can be terrifying, and make the Deep State appear all-powerful and nearly indestructible. Interestingly enough, not everyone is susceptible to these influences. A consistent number of people, about 15 percent, are immune to it. Pete’s research concluded that if your brainwaves were reliably operating above a certain speed, or frequency, it won’t work on you. This again underlines the extreme importance of remaining calm, free of negative emotions, meditative and peaceful. This causes your brainwaves to smooth out on the EKG, which actually generates a higher frequency — in terms of what Pete’s devices would measure. Perma-skeptics should bear in mind that the frequencies Pete measured are not electromagnetic, and require specialized equipment to be able to detect. Negative emotions such as anger, sadness, depression, jealousy, anxiety and fear cause your ‘frequency’ to lower into susceptible levels. With all that being said, the number of operatives who have access to these devices and the clearance to use them is very, very small. Sadly, many people believe they are being affected by this type of technology when they are really just suffering from paranoid schizophrenia. That does not mean that all cases like this are simply the result of organic mental illness. I have repeatedly stated that the Deep State / Cabal / Illuminati cannot just knock off whomever they want. This is a spiritual battle, and the Deep State must follow what they call “The Rules” in order to be successful — at any level. “The Rules” stipulate that the Deep State cannot do anything they are not authorized to do — either on an individual or collective level. The attacks against Emery have not killed him, nor caused any lasting damage to his health or ability to function. Going silent at this point would be the worst thing he could do. If you are attacked this blatantly, you have to fight back. Period. I have coached him extensively on the need to have impeccable karma while doing this mission, so as to avoid these sorts of disasters. You never want to get cocky or arrogant about your level of safety and security. It is always possible to slip up. The risks are very real. 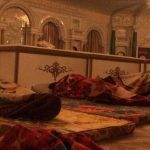 With that being said, you can greatly reduce the likelihood of “authorizing” these types of upsetting events by having a dedicated spiritual practice. Jacob, one of my top insiders, revealed that the Deep State / Cabal people have to wait for the right moment before they can successfully attack someone. This is very different than the conventional idea that they could just “order a hit” and carry it out without any problems. In many cases a great deal of work is necessary to sufficiently corrupt someone before such an operation could be initiated. If you don’t create the right climate on your own, they will provide temptations to cause you to think and behave in a negative fashion. This then “authorizes” them to attack you in ways that meet the karma you have since earned. Even if you were deceived, it is still your karma. The most common means of “grooming” someone for an attack involves the use of a handler. This is a person who appears to have shown up in your life by happenstance, but who is actually a covert employee, paid to monitor you and create disruption. I have worked very diligently to protect myself against any and all incursions of this nature. My trusted circle of friends and insiders is very small. I have occasionally heard of contacts bragging to someone that they are “my handler,” and when that word comes back, I cut them off. You always have to be careful of people who want to pose as friendly insiders while actually working as double agents. Simple and obvious temptations that could authorize these types of attacks include substance abuse, sexual indiscretions, blatant lying and/ or theft from others. The experiences I have had over the years have convinced me, beyond any shadow of doubt, that this spiritual battle is very real. I take extreme precautions to ensure that I maintain control of my life and do not get overly busy or agitated, as that is now very dangerous. Since Emery was not obviously hurt in the most recent crash, and his vehicle looked OK, the kid just laughed about it and acted like it was no big deal. 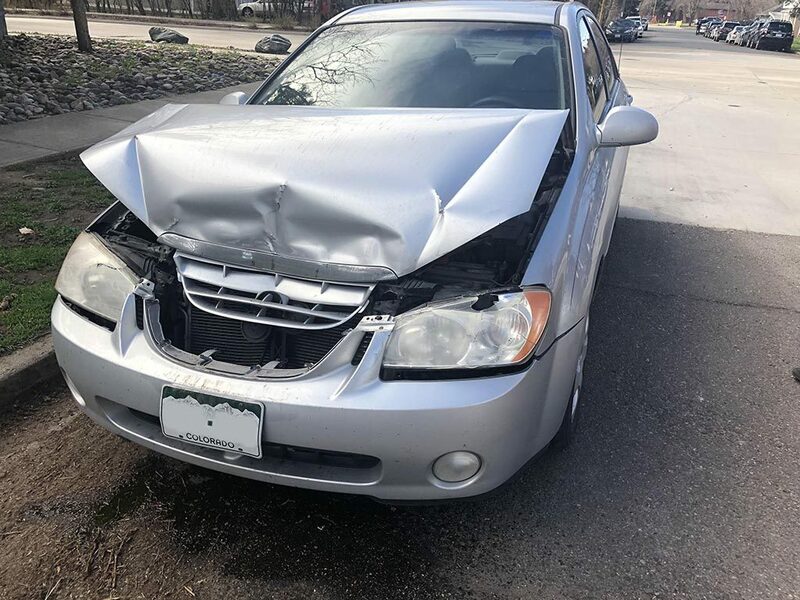 I have inspected photos of the kid’s drivers’ license and registration, the original photo of his vehicle with the license plate number included, and the damage to Emery’s vehicle. This is another sad and crazy event. The kid may very well have been given “induced erroneous motion” of his hands, and an “irresistible desire” to keep driving and not look where he was going. In addition to the signature of a Kia sedan that had just rolled off the lot, the timing of the accident also was very suspect. This crash happened less than three weeks after Emery’s name was published as one of twelve authors in a formal scientific paper. The main author was Gary Nolan, the head Ph.D. geneticist at Stanford University. The paper discussed the Atacama humanoid we featured in Sirius. Emery’s inclusion in his paper hammered down the Dark Alliance agents and skeptics who were trying to say he was an impostor. Notice that the title of the paper admits there were “novel mutations” in DNA of the “skeleton,” but then links them to dysplasia, a birth defect. The study concludes the specimen must be “human” simply because a majority — but not all — of its DNA is similar to ours. We completely disagree. The anomalies of this being, just including the shape of the head, go vastly beyond the possibility of normal genetic defects. There are also other examples of the same beings, as we reported in “Nearly Identical ET Corpses Found in Russia and South America” on Feb. 1st, 2013, when Sirius was first coming out. This conclusion appears to have been made under duress, thanks to the same types of threats Emery has encountered. When you watch Sirius, Dr. Gary Nolan goes from being obviously compelled by the idea that this is an extraterrestrial specimen to being oddly dismissive of the evidence at the end. Why would all this coverage be happening now? Why would Mockingbird mainstream media outlets all line up to publicize this paper? Perhaps the Deep State is concerned about an imminent disclosure, and wanted to discredit our evidence for a genuine ET specimen. I therefore see the publication and promotion of this paper as another sign that the Deep State is fearing major disclosure in the near future. This was not the first time that Emery had a suspicious car accident right after achieving a major milestone in his work. Emery’s head-on collision happened just one day after he had gotten a modified Bedini-style free energy device to an operational and validated state. 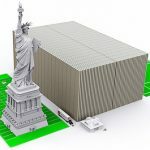 Yes… this may seem surprising or off the wall, but Emery spent years of time and significant amounts of his own money working on this problem. Both of us were involved in getting the device operational while he was staying with me. The device lived in my house under a blanket for several weeks. Emery had purchased all of the necessary equipment from the Bedini brothers while he was running his own science lab a few years back. Here is a picture of John Bedini with a slightly larger version of the device Emery self-financed and built in his lab days. 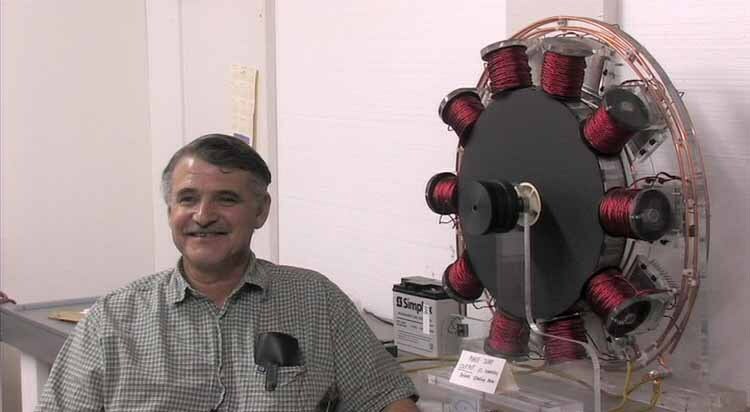 The basis of the Bedini technology is a “homopolar generator,” where a rotating magnetic disc of a certain configuration causes excess electrons to shower out of the edge, much like a lawn sprinkler. This principle was first discovered by Michael Faraday on December 26th, 1831. It has been largely, if not completely ignored by mainstream science ever since, as it violates conventionally-held ideas of the “laws” of physics. I covered this breakthrough in Section 5.7.1 of the fifth chapter of The Science of Oneness, a free ebook I wrote on this site in 2000. Our own studies validated that the Bedini device was charging the batteries with more energy than it took to run it — just as the original findings had suggested. The Bedini is one of the classic examples of a genuinely operational “overunity” device. We knew it was very risky to bring it to a functioning state. John Bedini himself died tragically on November 5th, 2016. 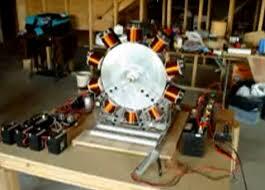 Emery was very fortunate to have removed the device from his home in New Mexico before the break-in occurred. That is quite a story in and of itself. We are hoping that technology like this will soon become available to everyone. That may be one of the many gifts that disclosure brings. These suspicious crashes may also have involved “vehicle hacking,” where any car from 2006 to the present can be covertly driven by remote control using OnStar-type technology. Vehicle hacking may have occurred in conjunction with remote mental influence. It is therefore possible to distract the driver while also ensuring that his car performs as needed. This may be why the first kid’s car actually accelerated and steered towards Emery, in defiance of all common sense and survival instinct. We take all of this very seriously and do not believe these are coincidences. The Deep State could consider this “the perfect crime” since the driver is effectively innocent, and no one can prove any foul play. Since Gaia pays everyone the same amount, Emery’s work on Cosmic Disclosure has not been sufficient to keep him financially stable. He is under absolutely relentless attack, with the goal of driving him into personal and financial ruin. He has still been enduring severe hardship these last few months. If it feels right to you, please consider sending some help his way. Sadly, we’re still not done talking about direct attacks against insiders who are revealing various aspects of the Secret Space Program. Last year, Pete had a shocking threat and attempt on his life that made him angry enough to reveal far more of what he knew on Cosmic Disclosure. We did not disclose the event at the time as Pete was intimidated enough to have asked us to keep it strictly secret. The information he shared in those episodes dovetailed beautifully with what we were hearing from William Tompkins, Corey Goode and others. In early March, right as my wife and I were leaving California for good, Pete fell on ice and split his entire femur in half, top to bottom. Let’s not forget that William Tompkins died from a very similar fall at a suspicious time. A technology like “Voice of God” could be used to cause an elderly man to lose his balance. This is what I feel happened in both cases. Tompkins fell, hit his head, got a brain bleed and died. Pete fell in such a way where his femur sustained the full impact, and split down the middle. If Pete had hit his head, it would have been all over within days at the most, if not nearly instantaneously. We are all very fortunate that Pete’s head did not suffer any of the impact. Pete was written off for dead by the doctors and appeared to be fading fast. I spoke to him recently on the phone, not knowing if it would be the last time. He was so disoriented that we needed to have the head nurse wheel him out and have him use their central phone in order to talk to me. After a while he went into a murmuring, 20-minute analysis of the different buttons on the phone and what extensions they went to. Pete has been a true friend to me since we met in 2009. We talk every week. This has been another highly upsetting emotional situation. Friends who visited him said that he was often descending into incoherent mumbling. The medical staff said he had suffered a stroke as well. I am happy to say that Pete is now posting an amazing recovery. He has a cast on the entire leg and everything is healing. The slurred speech and disorientation appeared to be a side effect from the medication, and thankfully not a permanent loss of brain function from the stroke. The costs of Pete’s hospitalization are all covered by Medicaid / Medicare and veteran’s benefits, which is a blessing. However, Pete cannot remember the entire month of his initial time in the hospital, and thought he was only there for a couple of days. The house I was renting in Los Angeles had a loft apartment over the garage. Part of how I was able to afford living there was by having someone rent it separately from me. I am friends with the guy who lives there, Jeff the “Rawtographer,” and he would look after my dog when we traveled. Jeff’s main job for the last year was in doing weekly YouTube videos for Verne Troyer, who played Mini-Me in the Austin Powers films. We talked about Verne all the time, as this was a great gig for him that was paying the bills and therefore helping keep our mission going. Their “Tesla Unboxing” video went out two days after Christmas and went viral, racking up a whopping seven million views. At the 5:50 mark, there is an outtake where Verne asks Jeff for help while he is holding the camera, and it takes a second for him to switch hats. Less than a month after we moved out, on April 2nd, Verne was rushed to the hospital with a very high level of alcohol poisoning in an apparent suicide attempt. Verne succumbed to the complications from this overdose while still in the hospital, just a few days ago, on April 21st. Most celebrities want to be left alone, so I never asked to meet Verne, though now I wish I had. He didn’t know anything about me. I would have told him about all the fascinating and exciting things that are about to happen as we head towards the defeat of the Deep State. We may have anti-gravity and free energy mini-Teslas that can take us on a cruise around the solar system sooner than we think — traveling a lot faster than six miles per hour. Verne’s loss may not have any connection to these other events. I hope it doesn’t. Either way it was another sad event surrounding my move to Colorado. Look up Rawtographer online if you would like professional photo shoots or quality affordable video work like he did for Verne. Some of the best photographs of me that you have seen on this site were taken by him. Even in spite of these threats, we will not hide out in our homes in fear. We are still stepping forward and doing our sacred work in the world. Before we head into Part Two, where we discuss our steady progress toward disclosure, I want to share some opportunities where you can see me give live public events. If you don’t want to read this part, simply scroll down to the bottom and click ahead to Part Two. I am making a rare appearance this weekend at New Living Expo in San Mateo, California, near San Francisco. There is no way of knowing how much longer I will be able to do ANY events, given the way things are going. Click here to find out more and sign up for this enlightening and revivifying gathering of like-minded souls! The New Living Expo is a really terrific event with great food, vendors and public speakers, in a warm and enjoyable location just seven miles from the San Francisco airport. Corey Goode will be there giving his own presentations, as well as an all-star lineup of classic talents such as Marianne Williamson, Caroline Myss, James Van Praagh, Loretta Swit from M.A.S.H., Deborah King and John Gray. I am going to be putting the “Grand Puzzle” together in my talk — covering Emery, Tompkins, Goode and how their intel all fits together with the Law of One, the solar flash prophecies and Ascension. Increasing numbers of insiders are confirming that we have already colonized our solar system with super-advanced technology. Many extraterrestrial groups are collaborating with us, and an alliance is now working to declassify this information. These insiders are also aware of a coming, massive “solar flash” event that will change our DNA and consciousness in dramatic ways, fulfilling the prophecies of Ascension in 35 different ancient teachings. Our entire solar system is demonstrating signs of abrupt, massive climate change as a buildup to these stunning events. 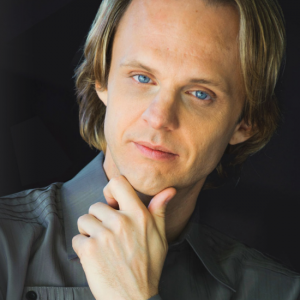 Join David Wilcock in a tour-de-force examination of the most exciting classified information available. Armed with the truth, we can step forward as warriors of light and prepare for a new tomorrow beyond our wildest imagination. Additionally, I will be giving a three-hour post-conference event on Monday, from 6 to 9 PM, that delves deeper into how we can harmonize with these ongoing changes, and prepare for what comes next. We may be on the threshold of the single greatest moment in human history. Everything we thought we knew could transform, and the greater galactic community might soon be open to us, along with its fascinating technology. David will lead you through a stunning presentation of scientific evidence that such an event is really going to happen, drawing from a variety of little-known pieces of evidence, both ancient and modern. Once this grand vision is fully assembled, the question becomes — what are you going to do about it? What are the deep spiritual principles that are secretly guiding our lives? How can we best navigate the challenges of living in the modern world while still holding a constructive mindset and making the decisions that optimize our Ascension process? 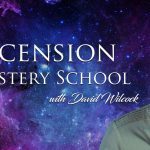 David will share valuable keys that can immediately improve your quality of life and super-charge your path of Ascension. Don’t miss it! Again, you can click here to visit the site, get more information and order tickets if you are interested. I have been so overwhelmed with the move that I haven’t yet finalized my talk descriptions for Contact in the Desert — but I will very soon. In the meantime we have some “placeholder text” there from previous talks. I give multiple speeches and panels at this event and always do my very best. 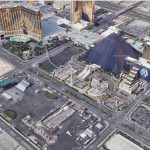 The venue had to be changed for a variety of reasons, including ongoing losses of water and power at the previous location, causing numerous problems. We were also running into issues with the local town authorities declaring it was too big, capping the attendance and causing other hassles. Another very significant problem was that the Joshua Tree campus was not wheelchair-accessible. The new one definitely is! The new hotel for Contact in the Desert is NOT a casino, as I had initially feared. It is a beautiful high-end Hawaii-style resort. Elizabeth and I stopped by there on our way to Colorado and we were very impressed. This should upgrade the whole experience for everyone into a far more comfortable, relaxing and convenient gathering. No longer will we have to swelter in punishing summer heat, suffer outages of water and power, or worry about getting enough food! 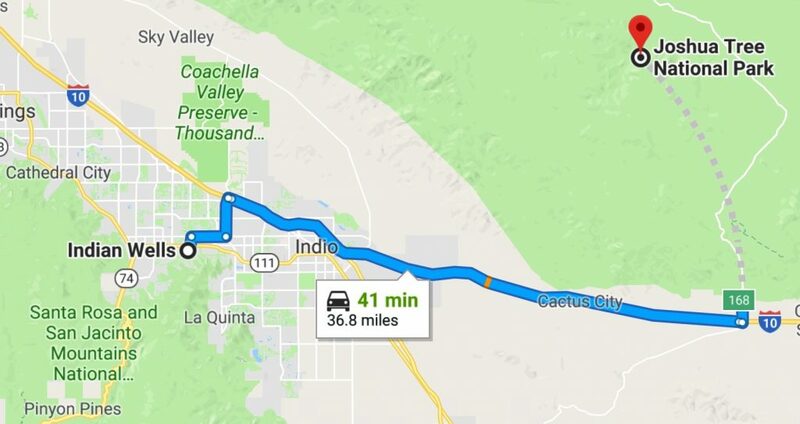 If you still want to camp and hang out in Joshua Tree, it’s a doable 41-minute drive to get over to Indian Wells, where the new venue is. If you want to camp out a few miles away in San Jacinto National Park, you are tapping into a classic vortex point that Peter Gabriel enshrined in his solo music. The song is called San Jacinto, and it is not written about some other location elsewhere. Gabriel was referring to this very spot! 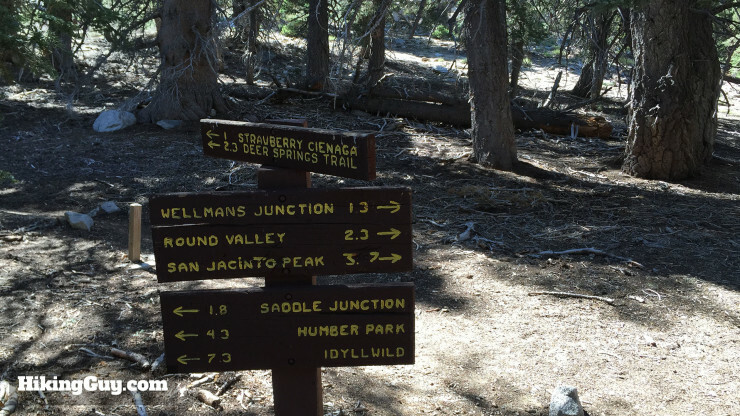 The San Jacinto National Forest is a true jewel in the desert — with running streams, lakes, pine trees and snowy 10,000-foot elevations. San Jacinto is definitely one of the coolest and most well-known songs about shamanism out there. In the song, Peter describes the rigors of a Native American vision quest in these sacred mountains. We have heard various “internet rumors” that people are upset about not being able to camp out at this new conference location. It is true that the immediate area around the resort itself would not be an appropriate spot to pitch a tent. However, San Jacinto National Park is literally only minutes away from the venue. Don’t just think “desert” anymore, even though the event still has the same name. 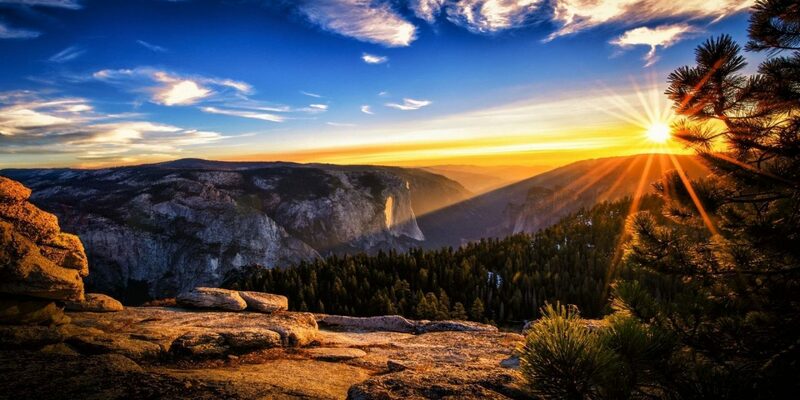 There’s a rightness and a rush of gratitude, a surge of humble awe that accompanies a cloud-strewn summit. Standing above that much gravity is wonder-inducing, and getting there via the fuel of your own foot-powered fire is confidence boosting, to say the least. 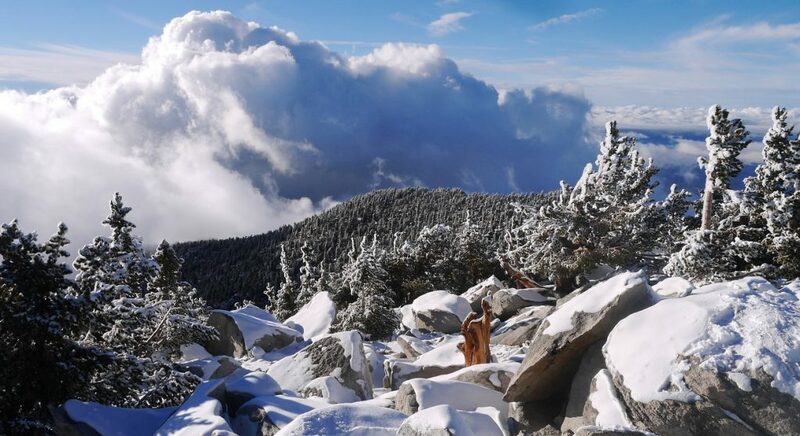 The San Jacinto peak, just one highlight of the Mount San Jacinto State Park and wilderness area, is a backpacker’s dream. 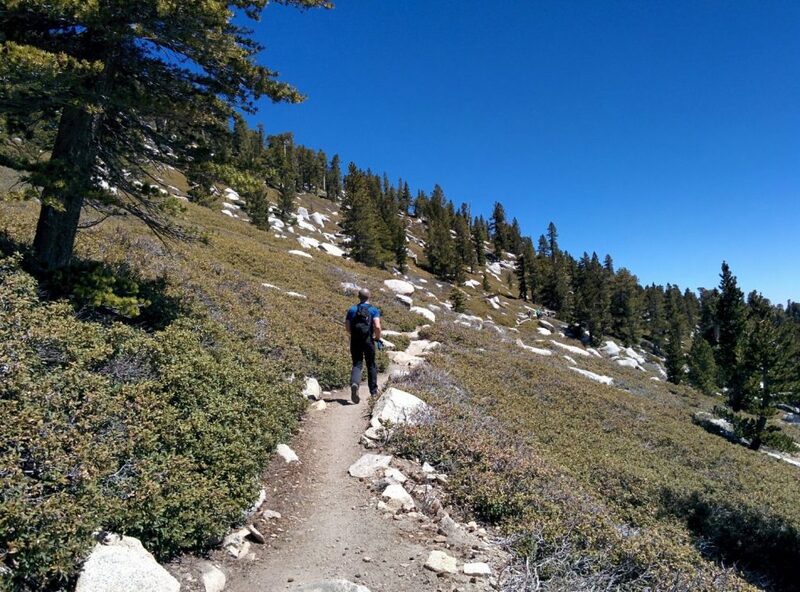 At more than 10,000 feet in elevation, the trails that take you skyward snake through sub-alpine forests, mountain meadow openness, snow dusted crag and gnarled granite. But the 14,000 acres of this state park are to be enjoyed by those who don’t summit as much as those who do. 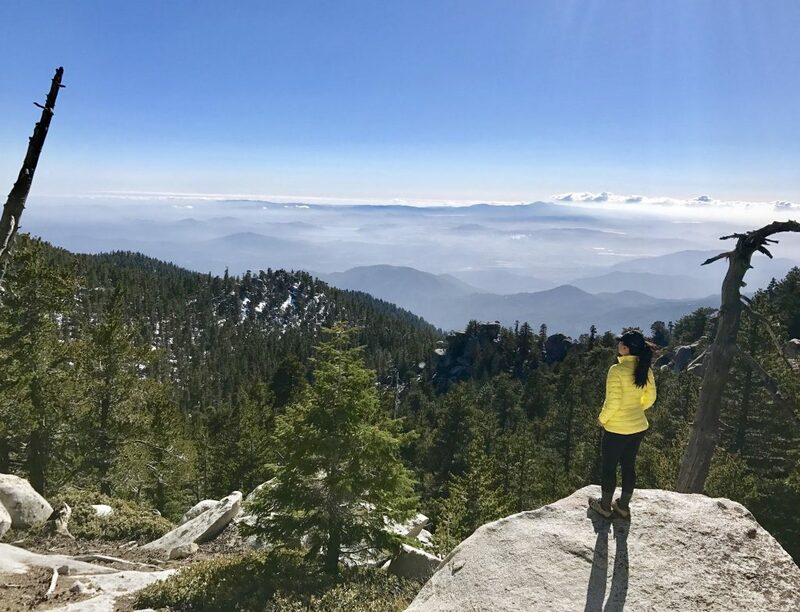 You can find Mount San Jacinto, off of Hwy 243 past the charming town of Idyllwild and accessible from Palm Springs via the aerial tram. Stare, breathless, at sweeping scapes of ridged mountains and pine from the tram window, or from viewpoints along your backpacking escapade. The San Jacinto area offers two drive-in campsites, four hike-in primitive campsites and adventures for every brand of wilderness craving. There may well be competition that weekend for the drive-in and primitive campsites in the area, despite how many places there are to go. We can expect some pretty wild parties and Contact experiences in those lush, forested mountains that weekend — and beyond! 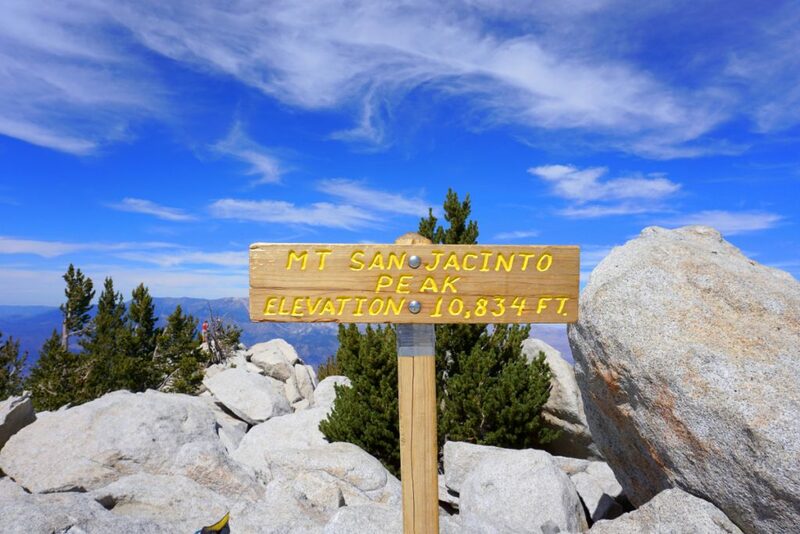 Granted, if you settle around the actual San Jacinto mountain peak, it’s a 90-minute drive to the conference — but the east side of the San Jacinto National Park and mountain range is very close by. 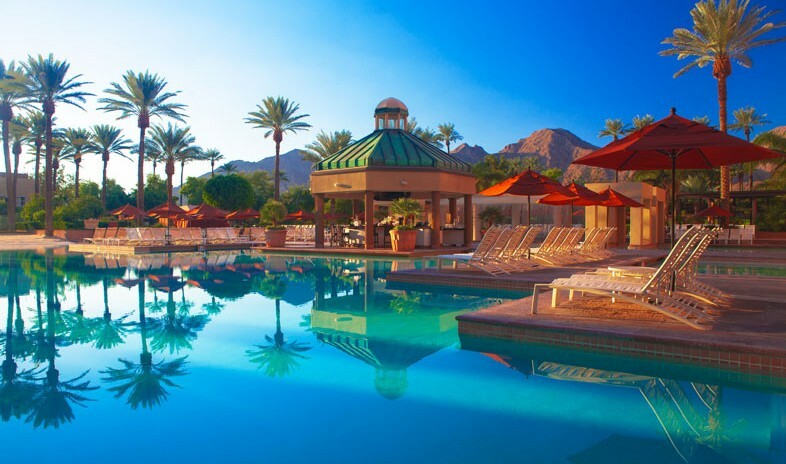 If all that is a bit too rough, you can also find affordable hotel options in the little town of La Quinta just minutes from the venue. For all four days that the event goes on, you could take some time to cruise through majestic mountain peaks with scenic pull-offs that may well distract you. 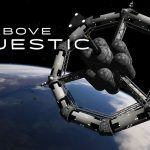 In the next section of this article, we will set aside our discussion of the threats and attacks our Secret Space Program insiders have endured. The struggle for disclosure is most definitely a political one. Although there are breakaway groups, much of the administration of the Secret Space Program is orchestrated by the Deep State here on earth. There could be hundreds, if not thousands of soldiers and contractors doing similar jobs as what Emery had performed — all in secret. The Deep State is also very much involved in the control of mass media, and the utilization of films, TV shows, music videos, awards ceremonies and video games for cult propaganda. Their entire public platform is now collapsing before our very eyes. This is no accident. It is all part of a highly orchestrated campaign by the Alliance. The awakening is being meted out in ever-increasing doses, so as not to shock the public with too much all at once. Hiding behind the mysterious and upsetting public events we see is a fight for the greatest revolutionary change the world has ever known. Click on the link below to continue reading. 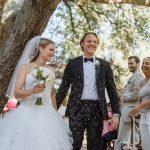 PreviousDavid Wilcock Marriage Announcement: A Happy Life! ask these aliens if they are HAPPY. Not sure you would be interested in what I have to say. I know you may be the reincarnation of Edgar Cayce. I am a Edgar Cayce follower. What is interesting about the video is I came up with a practical application of your exact teaching back in year 2016.
and she had to ask many times from C9 on who wrote this document. I said it came to me in a dream. Apparently I may have discovered the secret to levitation and free energy extraction. Your video is confirming exactly how my invention works. I thought about getting a patent, but i know the patent office would just reject it. Would you be interested in seeing a practical application for levitation and energy extraction based on your teachings? MS-13 It’s not from México. MS-13 it’s from El Salvador. Ganster MS-13= Mara salvatrucha.